Located an hour and a half’s drive from Albany in the east and Pemberton in the west, Walpole is an ideal place to base yourself to explore the region and for walking on the Bibbulmun Track. The tiny town, which has a population of about 500, is located in a rather picturesque region of Western Australia where the cool waters of the Southern Ocean meet the tall, majestic forests of the southwest. The town is positioned on the banks of the magnificent Walpole Inlet which flows into the Southern Ocean and is surrounded by Walpole-Nornalup National Park. Of the many inlets along the south coast of Western Australia, none is more beautiful than the magnificent sheet of water that makes up the Walpole and Nornalup Inlets, the only marine park on the south coast. The daily inlet cruise is a great way to see some of the sights and learn more about the rich history of the area. Walpole was named after Lieutenant William Walpole, who served with Governor James Stirling on HMS Warspite in 1809. 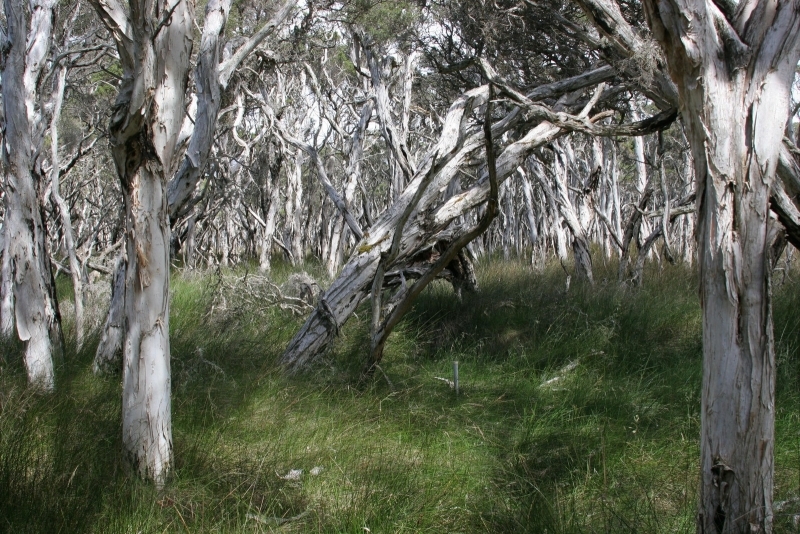 Nyoongar Aboriginal people have long referred to this area as Nor-Nor-Nup, the place of the Norne, or black snake, which explains the derivation of Nornalup, Walpole’s sister town. In 1909, Pierre Bellanger and the Thompson family were the first European people to settle permanently in the Nornalup/Walpole area. Further settlement occurred in the 1930s when the Nornalup Land Settlement Scheme sent unemployed men and their families, hit by the Great Depression, to the area to establish farms. The task of hand clearing the small blocks of karri and tingle forest was daunting to say the least. Many settlers eventually left the area. Today Walpole exists as a service town for the surrounding rural areas where fishing, dairy and beef are its main industries. It has also benefited from the international attention it has received regarding the alluring forests that surround it and world-class attractions such as the Tree Top Walk. Northcliffe is about 100km north-west of Walpole - a drive of around one hour and 10 minutes along the South Western Highway. 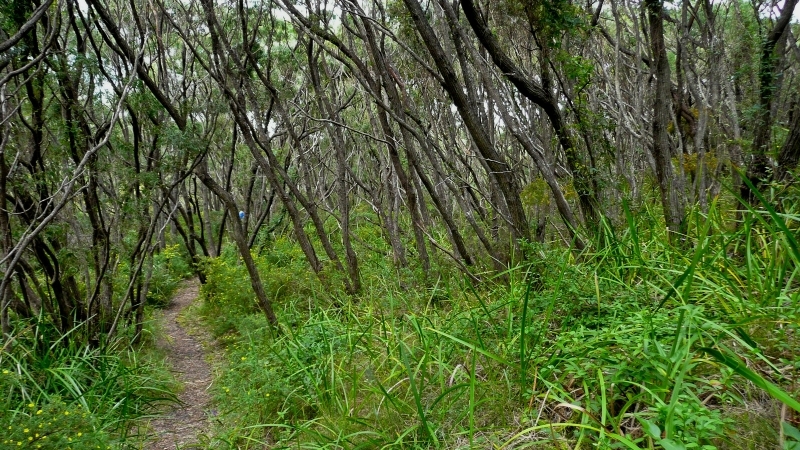 The walk between Northcliffe and Walpole (137.1km) takes eight or nine days. Peaceful Bay is 31km east of Walpole - a 25 minute drive along South Coast Highway and Peaceful Bay Road. 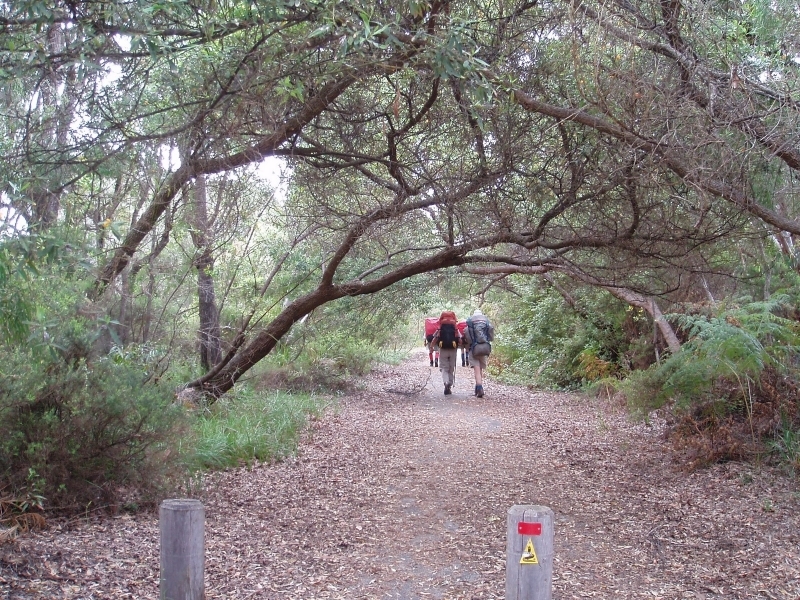 The walk between Walpole and Peaceful Bay (61.4km) takes three or four days. For travel details to Walpole view the Section by Section guide. The Walpole-Nornalup region offers every standard of accommodation - caravan parks, backpackers, budget accommodation, motels, B&Bs, holiday houses and luxury chalets. Although it is a small town, Walpole has all the services walkers may need: delis, pharmacy, cafés, restaurants, laundry, post office, telecentre and a visitor information centre. The supermarket also provides banking, EFTPOS, newsagency, and camping accessories. Local transport providers can transfer you to the Bibbulmun Track from Walpole.